Nicole Meismer works as a math specialist in The Learning Hub, where she's often working with students in back-to-back appointments without a break. She does anything she can to ensure student success, and offers great support to her colleagues. 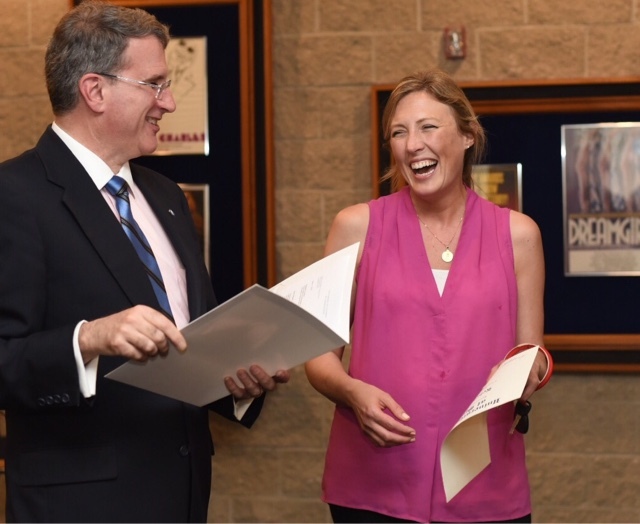 For these reasons and more, she has been selected as the University of Illinois Springfield Employee of the Month for May. Her supervisor says Nicole is an "exemplary supervisor, giving her employees support, training, and resources to achieve goals." She also recognizes the hard work her tutors do by organizing a tutor appreciation celebration each year, and also selecting one each month for the "Tutor of the Month" award. Student success, however, is Nicole's priority, and she "encourages new and innovative ways of supporting students," her supervisor notes. She works countless hours to assist students, often coming in on weekends to ensure students have tutoring services. Her nominator says Nicole "has helped shape The Learning Hub into what it is today and is a vital member of the Center for Academic Success." Rebekah Grosboll is described by her colleagues as dependable, friendly, and professional. 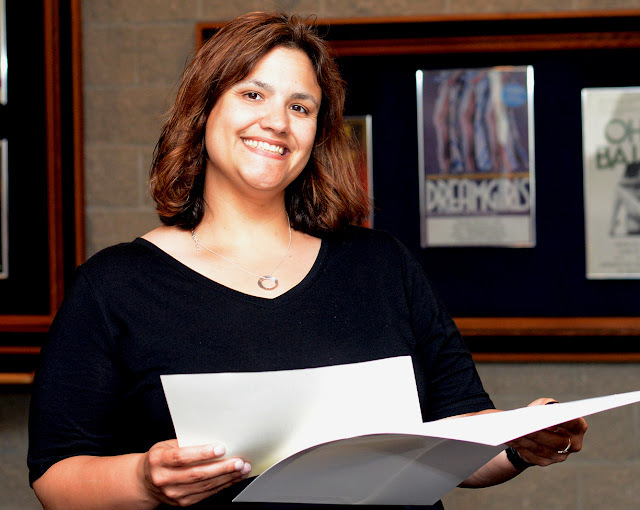 She is an UIS alumna, and an example of Leadership lived, and she's been selected as the University of Illinois Springfield Employee of the Month for April. Rebekah works as the online coordinator for Legal Studies and Political Science; her nominator says she goes above and beyond to help both online and on-ground students with any questions they may have regarding the programs, or with general education requirements. "She is thoughtful and able to come up with new and great ideas to improve the programs," her supervisor writes. "As online coordinator, she has streamlined the processes in Political Science and Legal Studies." Rebekah has a positive attitude as well, and tries to help students and faculty when they are having a bad day. She listens closely and responds accordingly, and treats everyone with respect and kindness. "Bekky's dedication to UIS is an example for UIS employees to strive for," her nominator writes.